This news broke my heart when I heard late last night! International Nigerian act, D'banj real name Oladapo Daniel Oyebanjo and wife, Lineo Didi Kilgrow have lost their 13 month old son, Daniel the third. Daniel was reported to have drowned in their Ikoyi home swimming pool yesterday afternoon (Sunday, June 24). The little boy clocked one last month while the dad, Dbanj turned 38 on the 9th of this month. There's no official statement from Dbanj who is said to be in LA, USA for the BET Awards, to confirm the news but he shared an 'All black' image on his Instagram page. May God rest Daniel's young and beautiful soul and comfort his parents and family- AMEN. Photos: Following the death of Dbanj's son, a lady leaves another heartbreaking comment online. Photos: Update on the death of 11-month-old Daniel D Third, Dbanj's son. 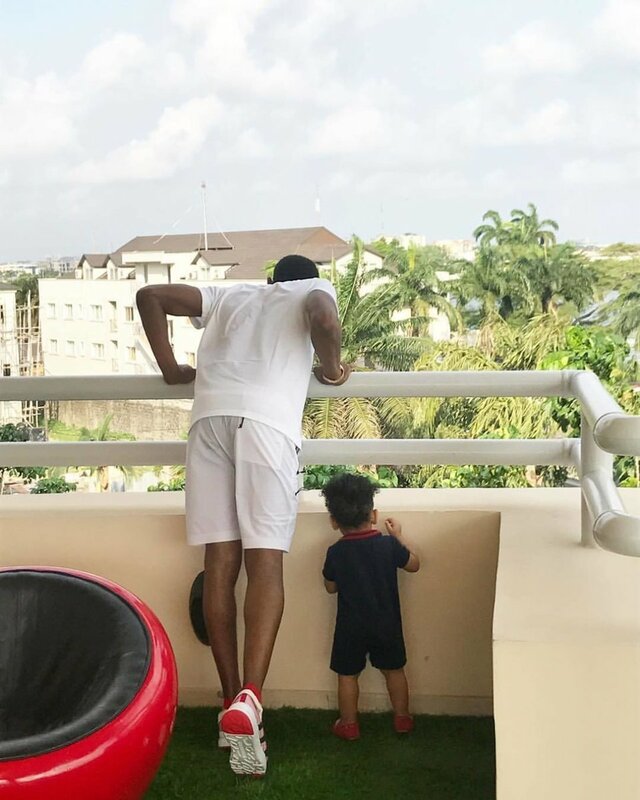 Photo: Dbanj breaks his silence following son's death. Where was the boy's mother? Rest in peace to Dbanj junior.